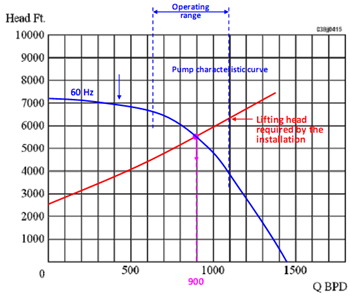 The Dynamic Head generated by a centrifugal pump is independent of the density pumped. 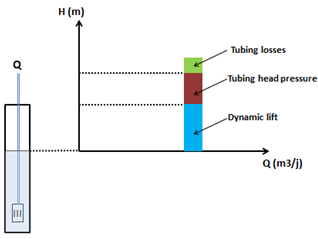 Hence, the same pump at the same rotational speed will generate the same head, regardless of the density of the fluid pumped (the dynamic head expressed in length unit will be the same whether the fluid pumped is pure water (density=1), crude oil (density < 1) or brine (density > 1). 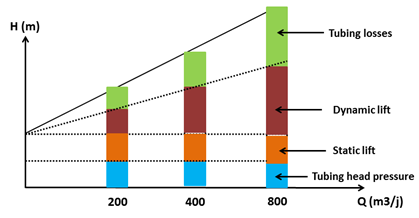 However, that does not mean that the pressures or horsepower required are the same! 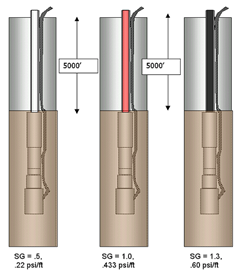 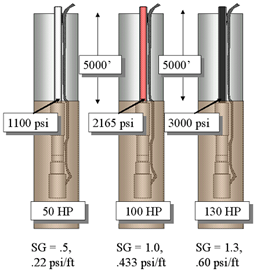 Pressure delivered by the pump (discharge pressure) depends on the density of the pumped fluid.